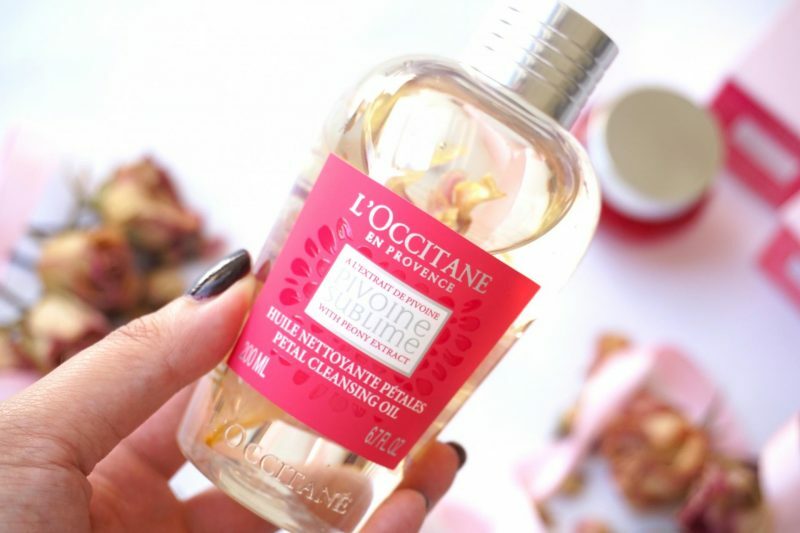 Today I will talk about the L’Occitane Pivoine Sublime Petal Cleansing Oil. As you may know by now I’m a sucker for pretty packaging. Everything that looks cute or weird or is limited edition is something I need to have in my stash! 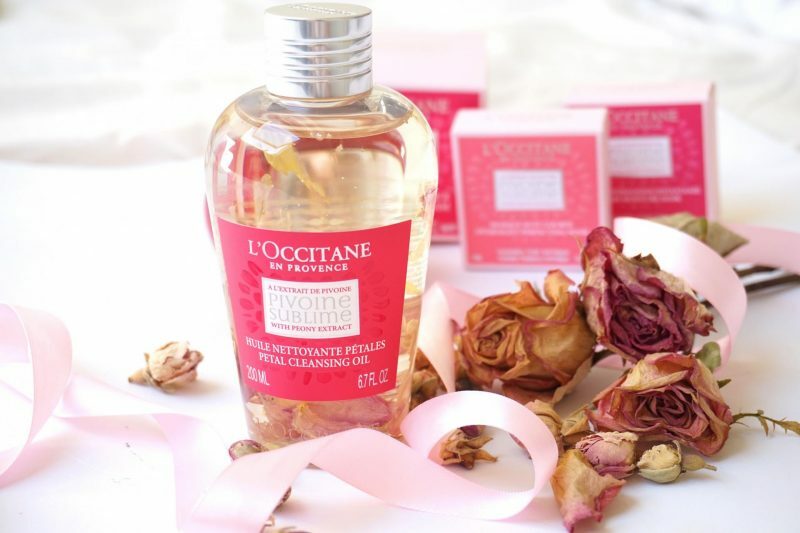 I got super excited when L’Occitane send me their new Petal Cleansing Oil which contains real peony leaves! Yessss, how cute is that? I think many of you are sold by the time I said that it contained real flower petals, but let me give you an in dept review about the cleanser itself. Are you curious if this Petal Cleansing Oil works that great as it looks? Let’s get started! Okay, I think that we can all see by now how beautiful this bottle is! The moment I opened my package I was mesmerized by this beauty, I knew that I had to write something about it and share it with you. 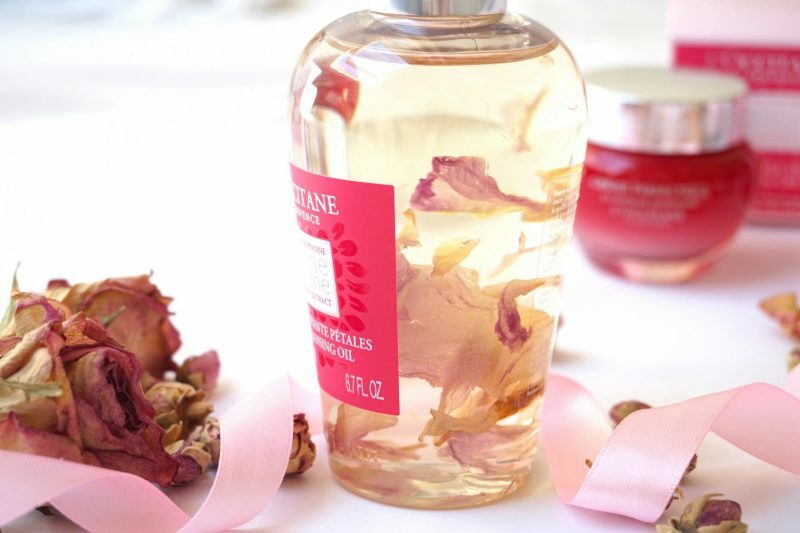 The peony petals in this bottle are the eye catchers, they will seduce everyone to buy this cleanser. 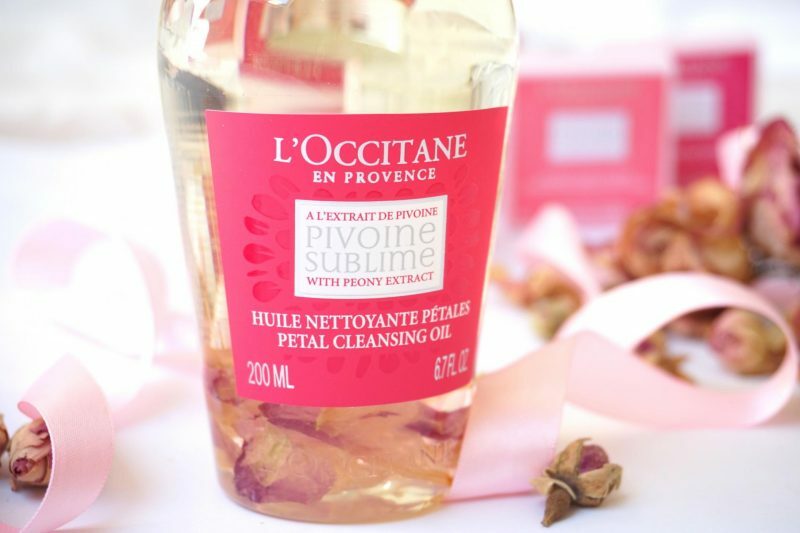 The whole Pivoine Sublime line as this pink label/packaging so you can easily recognize this line. The bottle itself contains 200ml which is a reasonable amount for a cleansing oil. When I look at al the cleansing oils that are available on the market, they all contain around the 200ml. Now we are hushed by the beautiful peony petals, we move on to the scent of the cleansing oil. This must be a hard one but I’m going to ask you: how does this cleanser smell like? Sweet flowers! This is really a sweet fragrance but not too overwhelming. Personally I think it smells like candy instead of flowers because it is like a unicorn on a cloud instead of a field with flowers kinda feeling. Do you understand me? I get a weird sensation when I use this on my ski because everytime when I open the bottle I get super excited to cleanse my face! I have a lot op cleansing oils in my stash, I think approximately 5/6 bottles. Each of them have a very different texture (yes, even oils cane have a different feeling) and this one is the most special oil I have in my collection. Usually with a cleanser you expect a rich oil which feels moisturizing to the skin. 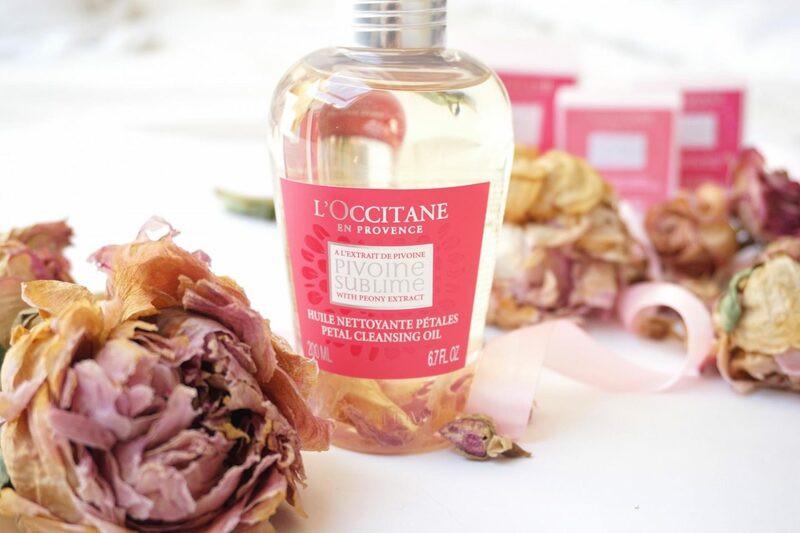 The L’Occitane cleansing oil feels very light weighted the moment you pour it in your hand. I thought it almost looked liquid instead of an oil! The moment I spread the oil on my face it was very light and smooth to apply. I didn’t need a lot of pressure or motions to have my whole face covered and massaged with oil. Like I told you before I do have a lot of cleansers, especially oils because this is the most easy way to remove my makeup. I love using this during my night routine because I can trust that my oil cleansers will remove everything from my face without having to worry about some residue. That in the back of me head made it very excited to try out this cleanser. Before I tried it I had my thoughts that this cleanser is only for ‘the eye’ because it is too pretty that they may didn’t pay attention to the quality of the oil. Well, I will tell you more! The moment I first tried it out I was blownnnnn away by the amazing flowery scent which also can be caught up as a sweet candy scent. I just loved it and I knew that this bottle will be empty within no time! Who doesn’t want their face covered in oil that smells delightful? You tell me! Also, when you pour it in your hand don’t be afraid that the petals in the bottle will lose their beauty or leaves. I didn’t catch any of their leaves in the palm of my hand so you are safe to use the oil all over the face without having to worry about sharp leaves. Okay, so how does the oil works? Uhhh, how about amazing! The oil glides on my face without any problem. It may sound weird but some of my cleansing oil don’t glide/feel well on my face or give me the feeling that they don’t target everything on the surface. With the Petal Cleansing Oil I can feel that the oil get’s absorbed by the skin and I can see the makeup move around. 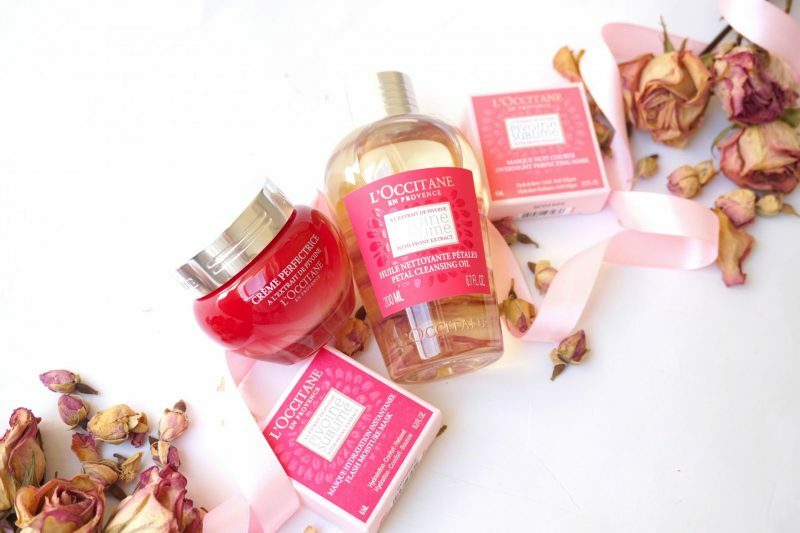 It feels wonderful on my skin while enjoying the sweet scent. 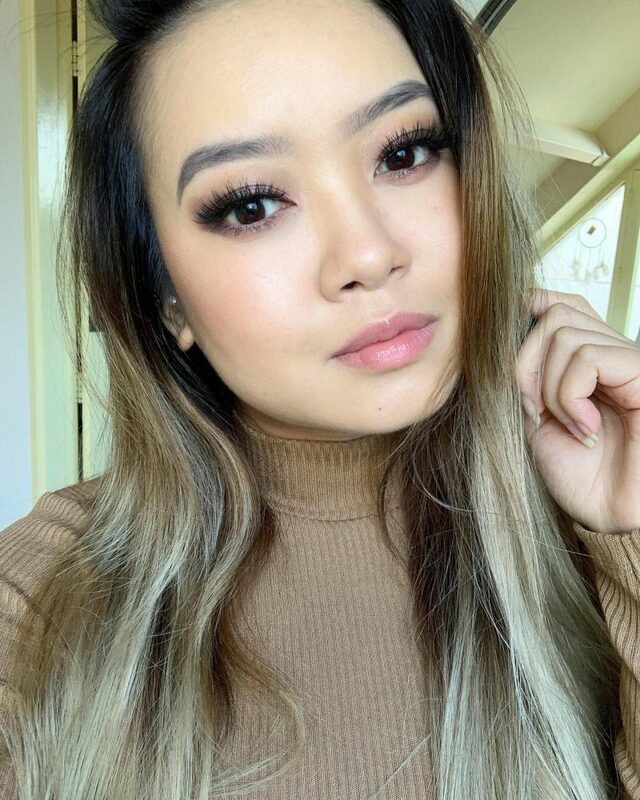 It takes away all of my makeup without any problem and even waterproof mascara, except for my eyelash glue! I use the eyelash glue from House of Lashes and this baby is only coming off when I use a special oil cleanser for the eyes and lips. So I don’t blame the oil for not doing its job, I’m used to it. After cleansing my face my skin feels smooth and nourished. I never experienced a tight dry feeling after using an oil cleanser luckily, maybe because I’m having a super oily skin also. As a beauty junkie oily cleanser are one of my favorite type of cleansers because they are easy to use, to remove your makeup quickly and that is perfect for a lazy girl like me who is always too tired at the evening for doing a whole routine. I was first a bit skeptical about this oil cleanser because it looked so pretty and gorgeous from the outside that I was afraid that they didn’t pay attention to the quality of the cleanser. But ohh men, I was wrong! This cleansing oil takes away your impurities and makeup within a few massages. While enjoying the lovely petal/sweet scent you can see that your makeup is fading away. It feels great on the skin and even afterwards the skin feels smooth and nourished without the pulling dry effect. If you are a collector of special beauty items this is something you will need! 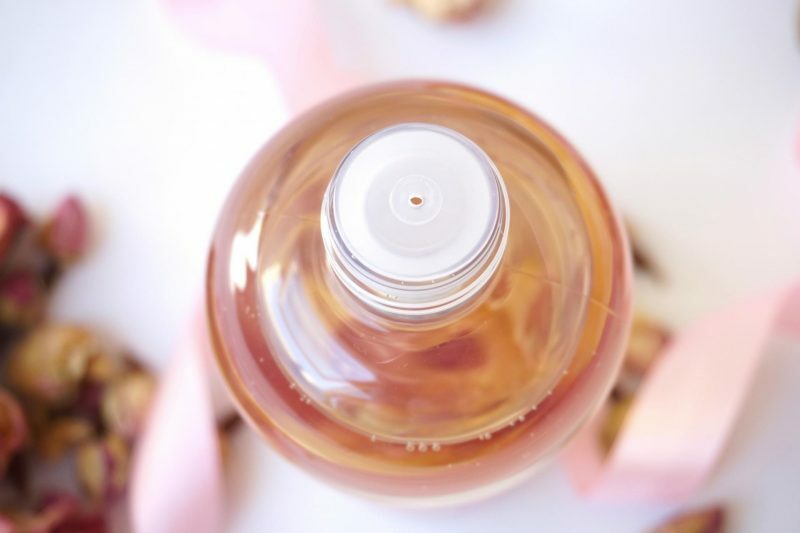 The Peony Petals in this bottle is beautiful to have in your stash. As an oily skin girl I approve this cleansing oil and I think that people with dry/combination skin will also love it! I can’t come up with a reason why it won’t will work for other skin types. 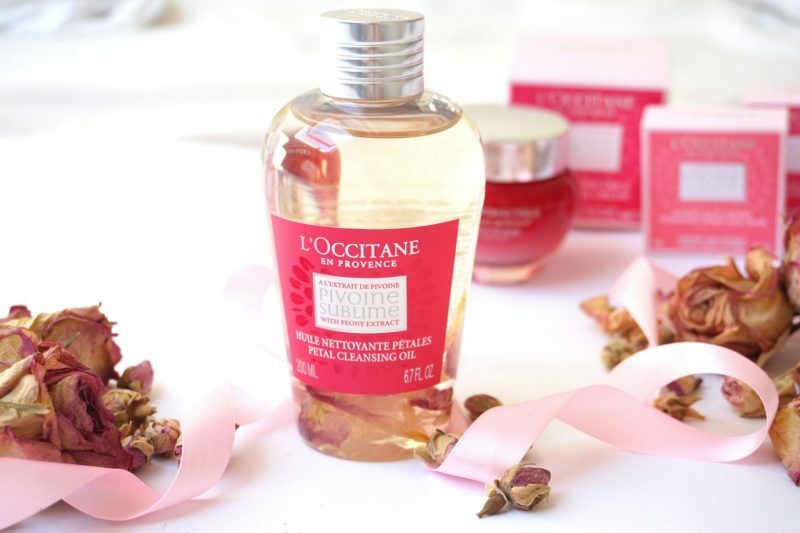 You can get your own L’Occitane Petal Cleansing Oil for €29,50 (200ml) on their official website (Dutch). Are you curious about the scent or the petal leaves? Goed te horen dat hij goed werkt! Ik vind deze er zo goed uit zien en ik heb ook het idee dat ie enorm lekker ruikt! Fijn dat hij ook echt goed werkt.